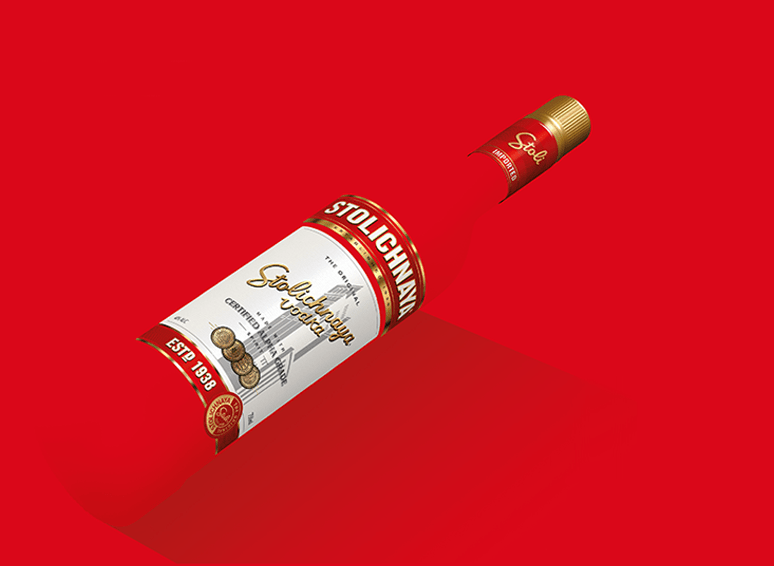 Stolichnaya® was founded in the Tambov region of Russia over 65 years ago. Tradition and innovation have created an original, high quality vodka with aromas and a texture that can instantly be recognised from the very first taste. Stoli® was also key to the start of trading between the East and West at the height of the Cold War. Considered a high quality “alpha spirit”, it is produced and bottled in the historic Latvijas Balzams distillery in Riga. Stoli® combines ultra modern distillation from Russia with the century-old tradition of charcoal filtering from Lithuania. Stolichnaya® is unquestionably a leader in the industry. Stoli launches the first ecological vodka, also for coeliacs. This pioneering formula uses the best organic and gluten-free corn from the Russian region of Tambov, conceived with traditional and ecological production techniques. Its careful manufacturing process from picking to bottling, make Stoli® Gluten Free THE definitive alternative that respect environment the most. 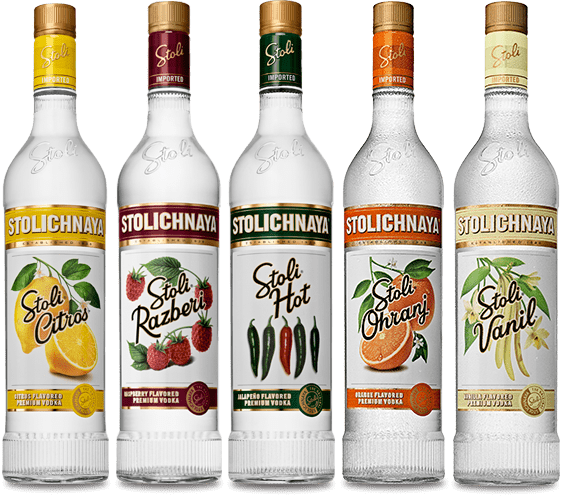 Stolichnaya® constantly reinvents itself and was a pioneer in launching flavoured vodkas with the same premium quality. Stoli® has a range of flavours such as blackcurrant, blueberry and lemon, and others with a surprising twist, such as jalapeño and vanilla. Superior quality vodka from an elegant and modern brand that aims to please the most refined drinkers. This exclusive vodka is obtained through a patented -18° ultra-freezing process, inspired by the Russian tradition of leaving vodka in barrels exposed to the cold to significantly increase its quality. elit™ Ultra Luxury Vodka is probably the best vodka in the world.